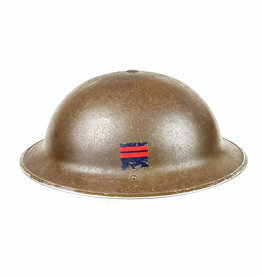 Original British helmet with flash to the Royal Artillery. The shell is dated 1938 and maker marked by JSS. Joseph Sankey & Sons Ltd (Bilston). 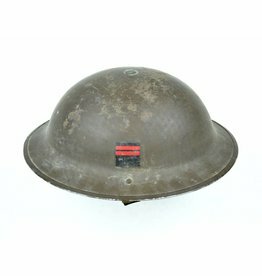 RAC helmet is in good condition with its original factory paint, liner shows usage and is dated CCL 1944. Helmet shows normal traces of usage. British manufactured MkIII helmet also known as the 'Turtle helm'. Dated 1944. D-day helmet, issued to British and Canadian troops. 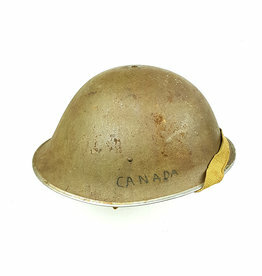 Untouched Canadian helmet with decal to the Royal CanadianArmy Service Corps. The helmet has never been cleaned! The decal is in perfect condition. Untouched Canadian helmet with decal to the Royal Canadian Ordnance Corps. The helmet has never been cleaned! The decal is in perfect condition. 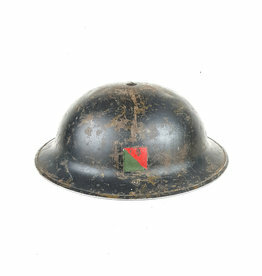 Untouched Canadian helmet with decal to the Royal Canadian Ordnance Corps. The helmet has never been cleaned, the dust is still there! The decal is in perfect condition. This a Canadian manufactured combat helmet with an original camouflage netting. The helmet is maker marked by G.S.W. which indicates the company of General Steel Wear and dated 1941. Canadian Scottish Regt MkIII helmet also known as the 'Turtle helm'. Dated 1944. 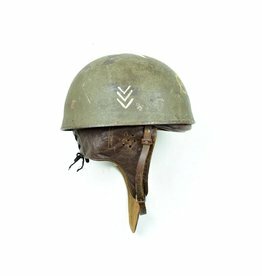 D-day helmet, issued to British and Canadian troops. The helmet is complete with its full length chinstrap with press stud and liner. This helmet was found during a house-cleaning somewhere in the Netherlands.